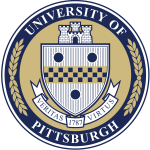 A small number of competitive scholarships are available to University of Pittsburgh undergraduate and graduate students who are interested in attending local mindfulness based trainings, workshops or retreats. CMCS provides these scholarships so that Pitt students may have increased access to the various practices related to mindfulness and consciousness studies. To apply for a scholarship please send us an “Ask Letter.” An “Ask letter” is a statement of need and intention. Please let us know how/why this class or retreat will be beneficial to you. Tell us of your financial need. Do not disclose financial data such as social security number. These are granted in limited numbers and are on a first-come first serve basis. Please email lcn6@pitt.edu with questions or to submit your Ask Letter. The Center for Mindfulness and Consciousness Studies will also provide 5 full scholarships to University of Pittsburgh undergraduate and graduate students to attend the Mindfulness Based Stress Reduction Course at UPMC’s Center for Integrative Medicine. To apply for this specific scholarship, students are first required to attend an orientation session and be accepted into the MBSR course. After acceptance into the course, send CMCS an “Ask Letter” which includes a statement of need and intention. In short, let CMCS know how/why this class or retreat will beneficial you specifically. Also include a statement of financial need (do not disclose financial data such as social security number). Scholarships are granted on a first-come first serve basis. Please email lcn6@pitt.edu with questions or to submit your Ask Letter.